As a progressive educator, I have the privilege of weaving in many philosophies in my teaching practices. One thing that I really love about Waldorf curriculum is the slow awakening to the instruction of literacy. The philosophy lends itself to inspiring creativity and imagination first, foundational components to literacy development that often are underestimated. 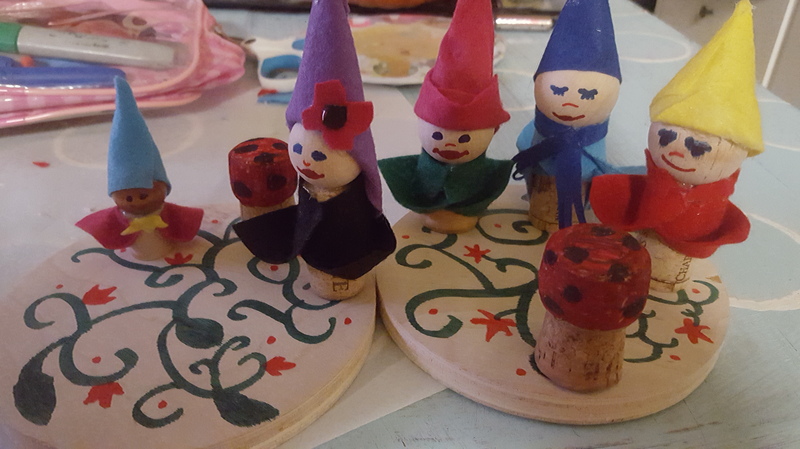 But the truth is that with the more opportunities to listen to and to create their own tales and stories using props and imagination, the more children find joy in literature and stories. Joy is the most important step in the early years of reading and writing. It is motivation. Motivation for knowing and wanting to learn more. A child is ready to learn the characters of the alphabet and enhance their comprehension skills when they ask for the information. When the ask for you to scribe their stories, how to write a letter from their name, to read a book… then they are ready. Many Waldorf practitioners refer to storytelling play as “learning for the heart” and not learning by rote memory or practice. This is critical in preschool. Our most important job as a teacher is to create connections and relationships, to create moments for “learning for the heart”. There are many ways to do this. 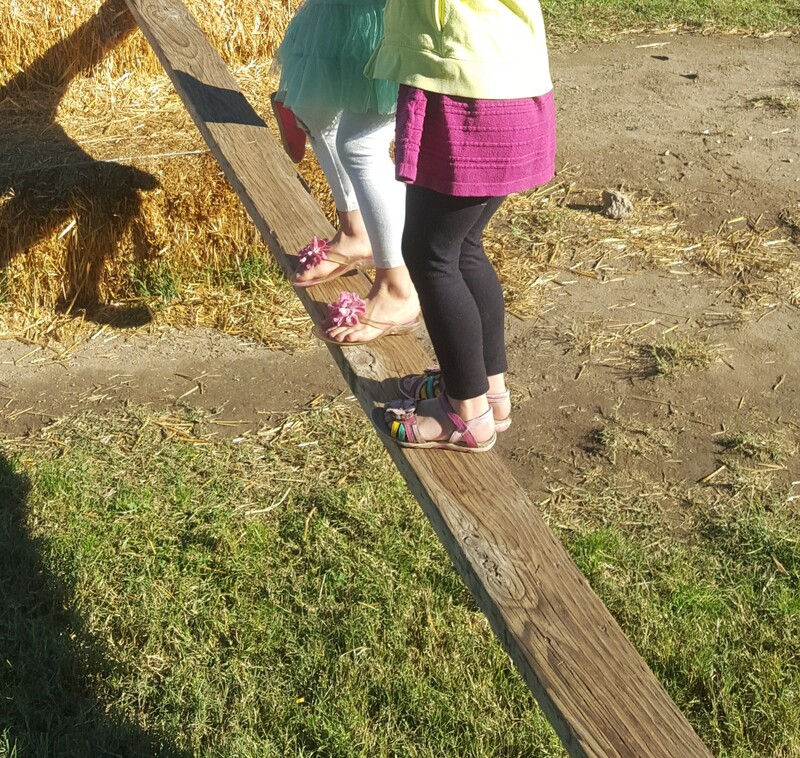 Providing invitations for children to connect to the world of stories and imaginary places is one way to support their natural journey to literacy based learning opportunities. Waldorf often does this with props for storytelling. Their characters are made of natural materials such as wood, wool, felt, fabric, and pieces from nature. I have often been enchanted by these little small world props. I have created some of my own in the past – fairy worlds, castle scenes, farm worlds, and forest scenes. But recently the children have been in love with a small autumn fairy and pumpkin village. It is a decorative one set up in the front of the school entryway. They check on it often and seem to be so connected to the idea that it is a real living village! 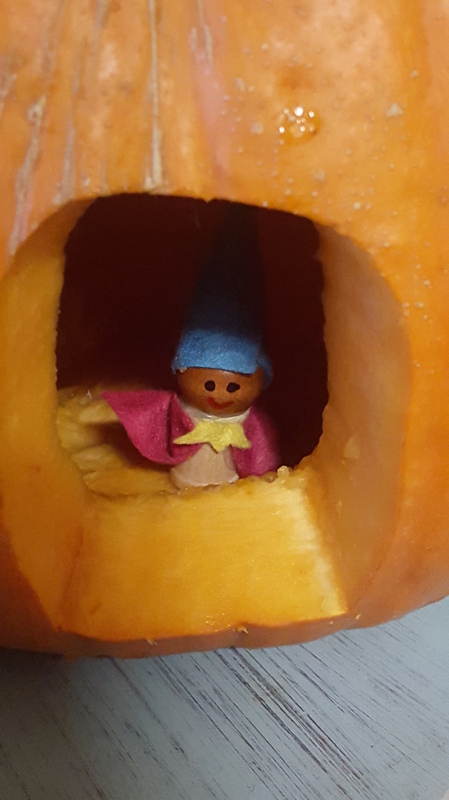 So this weekend I spent a little time creating some props for their very own pumpkin gnome/fairy village. I quite like the way it has turned out. But, I think next time I will stick with keeping the props faceless. Although it looks eery at times, the intention behind the expressionless faces is to allow the children to imagine their own expressions and feelings of the characters – uninfluenced by the pre-created details of a doll/character. I actually am intrigued by this and would like to try it. I leaves the whole story in the hands of the child. 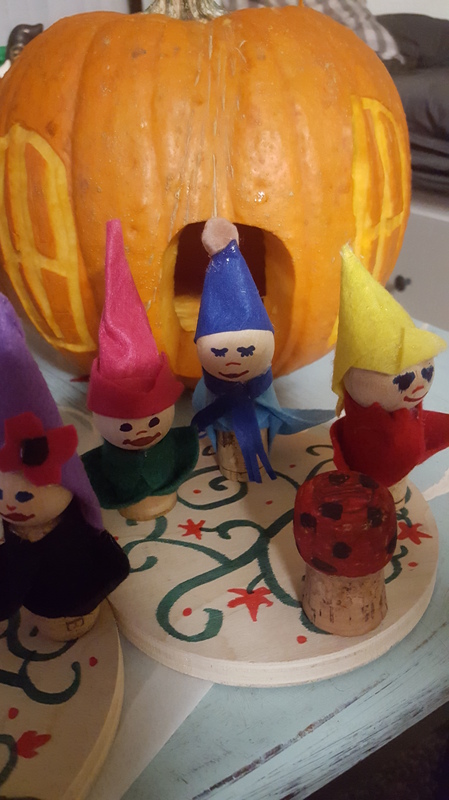 But, for now I have a little pile of gnome people with wood platforms and a real carved pumpkin house. I will stage the invitation on the light table. I can only wonder what stories and conversations that will happen here, a place designed for “learning for the heart”.